Hospice & Palliative Care of the Piedmont invites you to support the new Hospice House by purchasing a commemorative brick. 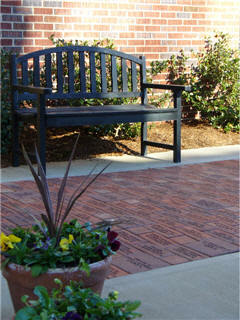 When you designate a brick at the Hospice House, you create a timeless tribute. Your purchase of a brick not only assures that your loved one will have an enduring memorial, but also confirms your contribution in making the Hospice House a reality. 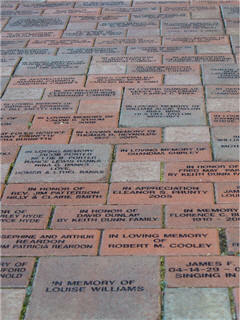 A commemorative brick is an ideal way to leave your mark, honor someone, or memorialize a loved one. Each brick can be engraved with your name or the name of a friend or family member. Bricks are placed in the The Courtyard of the Hospice House or in the Veterans Walkway & Garden (reserved for Veterans only). added level of invaluable support. We invite you to join us in this effort to ensure that, in the greatest time of need, our citizens will be allowed every comfort possible. To purchase a brick, download our brochure/order form, order on-line, or call to request a form to be mailed to you, 864.227.9393.